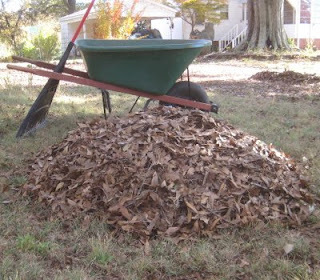 to start a leaf pile in the garden for next year's mulch. Do you have any tips for killing two or three birds with one stone? I need all the help I can get. if it wasn't for the nuts in it I'd say just leave it all under the trees.. we only clear leaves off those areas we need, the veggie plot and the pathways. 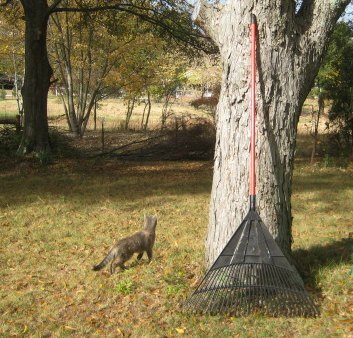 other than that we leave everything on the ground as mulch/fertilizer for the trees. 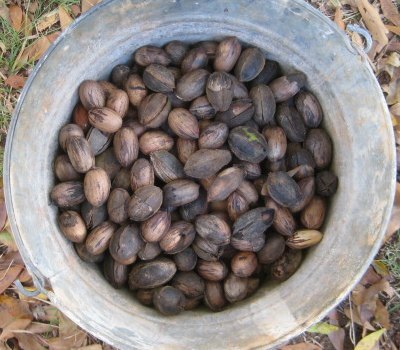 I envy you the pecans though, I love the taste, but they are not native here and quite expensive in the shops... I wonder if you could get a dye out of the husks if you steep them over a long time? I think if we all really thought about it we'd realize we're multi-tasking all throughout the day! Especially when I'm in the kitchen I've got 2 or 3 things going at once. Washing dishes while watching something on the stove. Cleaning out a cupboard while waiting for another part of the floor to dry. It might be interesting to go through a day jotting down how many times we found ourselves multi-tasking. Bettina, actually the leaves are the main thing I'm after. I need them for mulch! Last summer much of my garden didn't get mulched, and it really made a difference as to how dry the soil got. We noticed too, that there was no crumbled decayed matter to till in to the garden either. Gotta have those leaves. Bettina, good points. It's so interesting how much gardening needs vary around the world. We have a dry spell every summer, so my goal is to keep the soil cooler and moist. 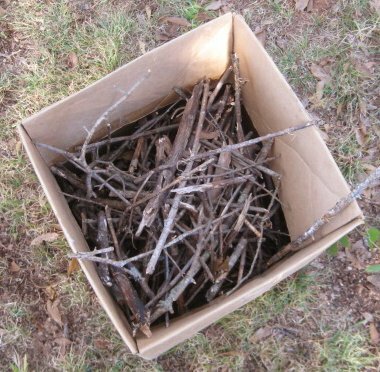 The other benefit of thick mulch is keeping the weeds down. Then too, the leaves decompose and build the soil. I've been reading in Edible Forest Gardens how leaves from certain trees can add nutrients to the soil. 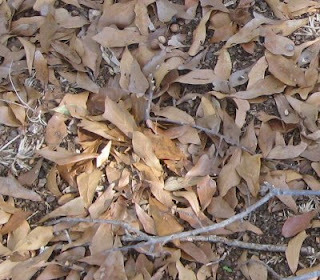 For example, leaves from hickory and dogwood trees add calcium, potassium, and phosphorus to the soil. 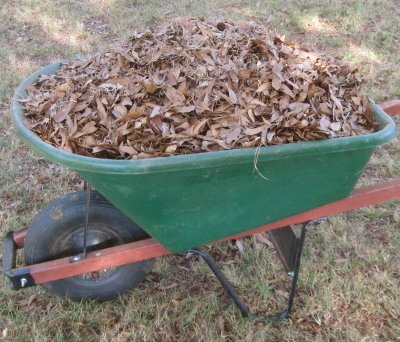 We have those, so I'm going to focus on the as mulch. 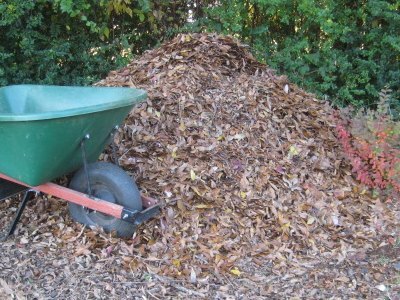 The other thing that can be done with leaves is to compost them, especially if you have access to a good source of manure. I can't make any recommendations for multi-tasking but I can say that you seem to me to have it all figured out already because your posts and blogs are always amazing. Great pics and I know the leaves will be great for mulching in the spring...well worth the hard work! Homesteaders must have been among the first of multitaskers... right after mothers.